Yum. Boiled alive in molten lead. I tried to find out more, but site after site repeated the same ten words: thrown into a vat of molten lead by the Moors. In the ninth century, Moor equaled bad, a knee jerk reaction not dissimilar to today’s rampant xenophobia. I was humbled and pleased when I was recognized for my volunteer work this week. As I pondered the award, I thought I heard a whisper: Don’t rest on your laurels. It’s a voice I’ve heard all my life; but where did it come from? Was it the result of the etymology of my name? A variation of the sales axiom: You’re only as good as your last set of numbers? Or was it something more insidious, a message delivered obliquely and primarily to females — at least Southern ones. That’s nice; what are you going to do next and better? I worked for a time with some of the world’s most successful developers of golf course communities. I listened to certain men tell the same stories of a past success and watched other men happily wiggle in reflected glory. I saw it with consultants, too. One win and all they had to do was tell the story to each new client and they were hired by virtue of that one home run, that one big deal. Lightning had struck; surely it would hit again in the vicinity. 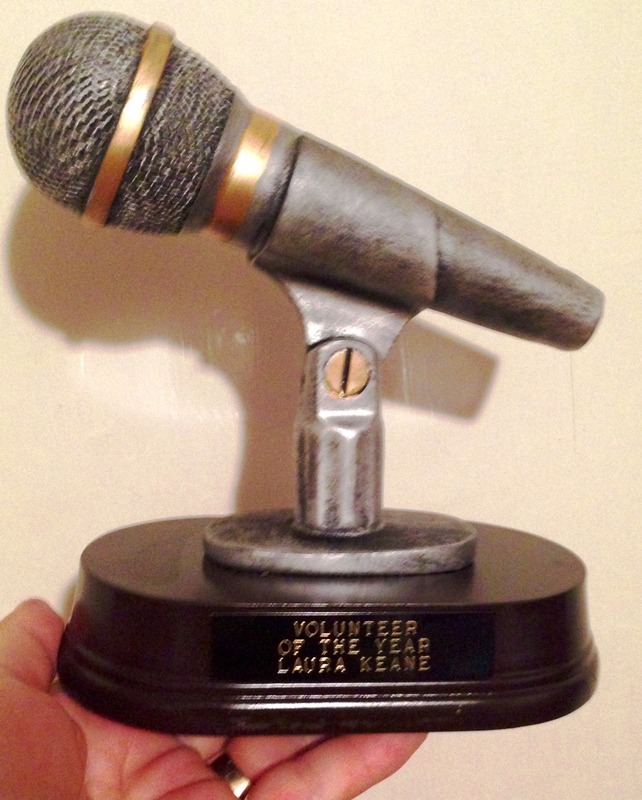 The work I did to earn “Volunteer of the Year” for Community Conscious Radio WMNF (88.5 FM Tampa) has, at times, felt like being boiled alive in molten lead. But I can’t blame the Moors. Instead, I blame my parents for instilling the idea that community service is an obligation and a duty. Satisfaction should come from doing your part. Recognition, if any, is fleeting. The award I received is acknowledgement for last year’s turmoil and heartache and long long hours. And still I think: That’s nice. So now, what am I supposed to do next and better?